There are just a few countries in Europe where Baptists are not yet present; until recently, Cyprus was in this number. Only two years ago, Faith Baptist Church in Nicosia was officially registered, and this young congregation still needs assistance. Pastor Anton Balakumar Sinnathamby initiated a visit to Cyprus in 2013, which he made with a friend. They learned of an influx of Sinhalese and Tamil people who were migrants – refugees after the civil war in Sri Lanka. Following that, they performed more visits with a purpose of sharing the gospel. This resulted in a prayer meeting at a private house. Within a few weeks, the services moved into a rented hall because of the increasing number of attendees. The ministry has been developing under the oversight of Sinnathamby, who has visited regularly and grown local leaders. Sinnathamby has been an ordained pastor in the Baptist Union of Norway and served as a board member. He has a clear vision for planting new churches and raising leaders. He also coaches them how to lead congregations and trains them in evangelism and discipleship. 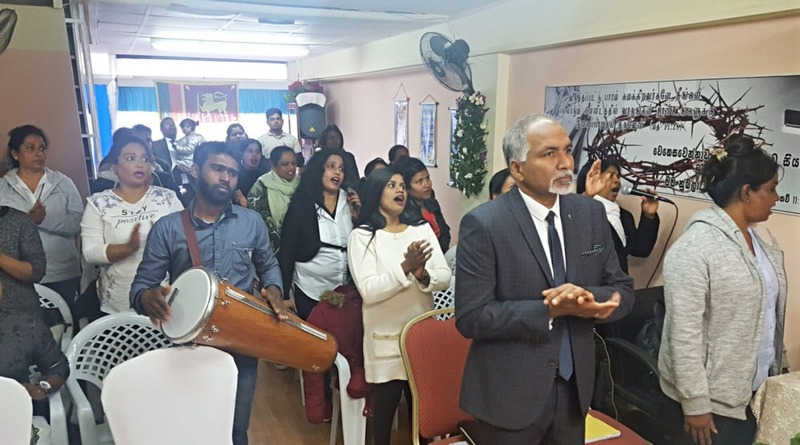 Chandra Kumar, a 37-year-old native Sri Lankan who is Sinhalese with a Christian background, is a church planter and pastor of the newly planted congregation in Nicosia. He has stayed in Cyprus for several years with his wife, Niluca, and their two small children. Kumar is fluent in Sinhalese and Tamil and knows English and Greek, which all is important for this ministry. His wife plays a very significant role there, and rightly so since the majority of congregation are women. Niluca Kumar has a very warm personality and is evidently respected by members of congregation. The couple lead a group of around 30 to 40 persons, mainly women who are migrant workers in Nicosia. Most of them care for elderly family members; however, some are refugees without work. The group has functioned for the last five years; they officially registered under the name of Faith Baptist Church only two years ago. The registration process was difficult because there are no other Baptist churches in Cyprus nor Greece; this presented an additional challenge for the local authorities. The new group has been educated and organized according to Baptist principles, which naturally led to affiliating with other Baptist churches and organizations. The services are on Sundays and, beside biblical preaching, they feature a lot of passionate singing in Sinhalese and public prayers voiced between the songs. The meeting hall is packed; the spirit of the service is fervent and joyful. After the sermon, people usually come forward asking their pastor to pray with them for personal issues. After each service, there is a fellowship around a meal prepared in a Sri Lankan way. Last year, the church organized a large outdoor event with a pastor whom they invited from Sri Lanka; about 300 people attended. The plan is to repeat a similar event this year, although funding is always an issue. The group also regularly goes to a nearby park to sing Christian songs and make contacts with new people. The target group are Sinhalese but Tamils are also welcome. Personal evangelism is the most effective way to make new contacts. The relationship between the church plant in Nicosia and the mother church in Oslo is well bonded both spiritually and personally. The members of the mother church pray for the church plant; they stay in good communication with each other. Sinnathamby personally visits the church plant in quarterly intervals and connects weekly with the church planter via Skype. 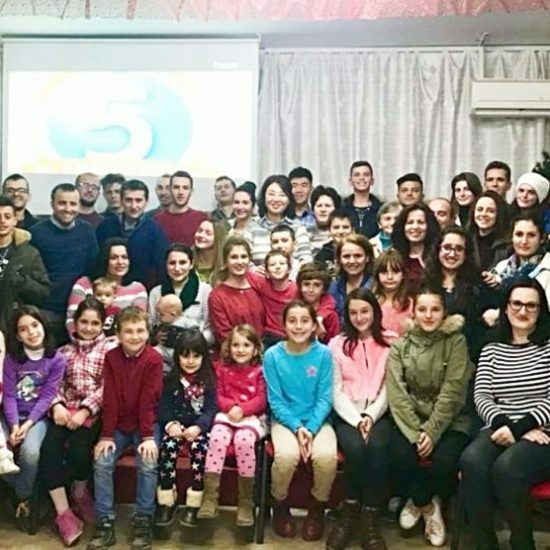 This is the very first and only Baptist church in Cyprus, and the congregation is managed by the leadership team chaired by Chandra and Niluca Kumar. The members often emphasize that the church is their comfort house. As these believers are far away from their home, they appreciate having fellowship with their own people who speak their mother tongue. About 90 percent of worshippers are converts from Buddhism, which presents a challenge. Some of them have to return to Sri Lanka as their work permits expire. Those who returned keep in touch and continue in faith. The biggest blessing is that these Christians can share their faith with others, especially when the testimony is well received. The dream for the future is to acquire a bigger meeting hall to host more people. The members of the congregation earn very low wages, yet they give sacrificially. The collections from Sunday meetings are barely enough to pay for the rent, and the leaders appreciate partnerships with the European Baptist Federation (EBF) and the Baptist Union of Norway. The simple and fervent faith of these Christians is indeed animating. They are foreigners coming from the lowest levels of society and, given the circumstance, they show an excellent attitude of pioneering in order to influence their compatriots. This church is really like a missionary training school. As they function in the very outskirts of Europe, both geographically and culturally, so they naturally look to EBF and other stronger Baptist bodies with much expectation for the partnership to strengthen their own witness for the gospel. A version of this article first appeared on EBF’s Mission Partners news page. This version originally appeared on Baptist Ethics.com. Daniel Trusiewicz is mission partnerships coordinator at the European Baptist Federation.